Due to impending weather, we are moving the Popovich's Comedy Pet Theater from Thursday, April 11th to Tuesday, April 23rd. If you have a ticket for the 11th, it will be moved to the 23rd. If you cannot attend on the 23rd, you may exchange your ticket for Gone Country or the Cinco de Mayo Celebration by contacting our box office at 507-376-9101. 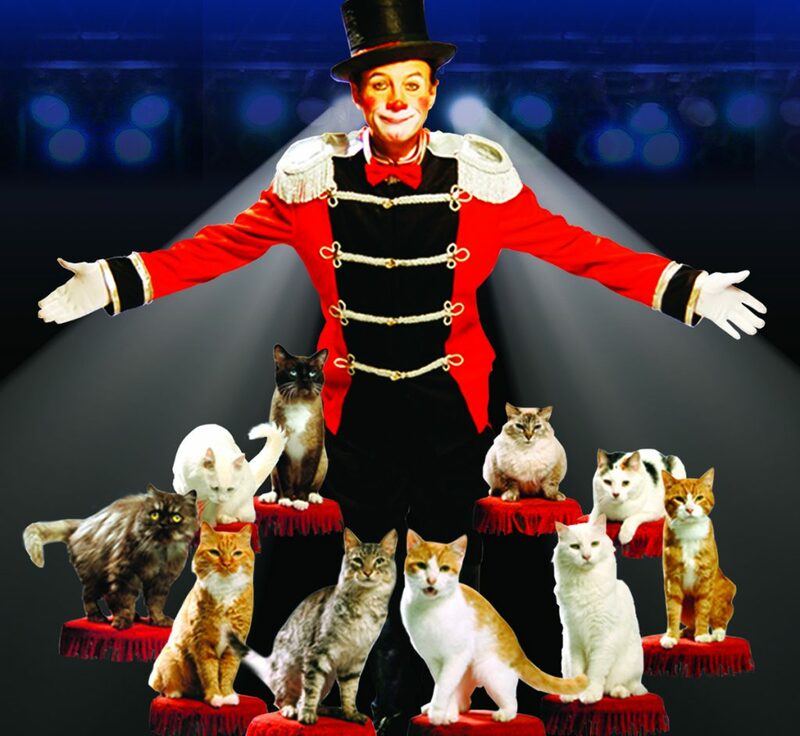 See trained house cats catapult themselves into circus stardom! If you love animals this is a must see show! This family oriented blend of unique comedy and circus skills will have you leaping out your seat. These delightfully-trained dogs and cats – regular house pets, and all of them rescued from shelters across the country – do amazing things! The show is a combination of Gregory’s spectacular clowning and juggling, and adorable comedy from his amazing animal friends! They've toured in over 20 countries and have been featured on America's Got Talent, now see them here!